Ever since & Other Stories came to DC last year, I've been hooked on their pieces. 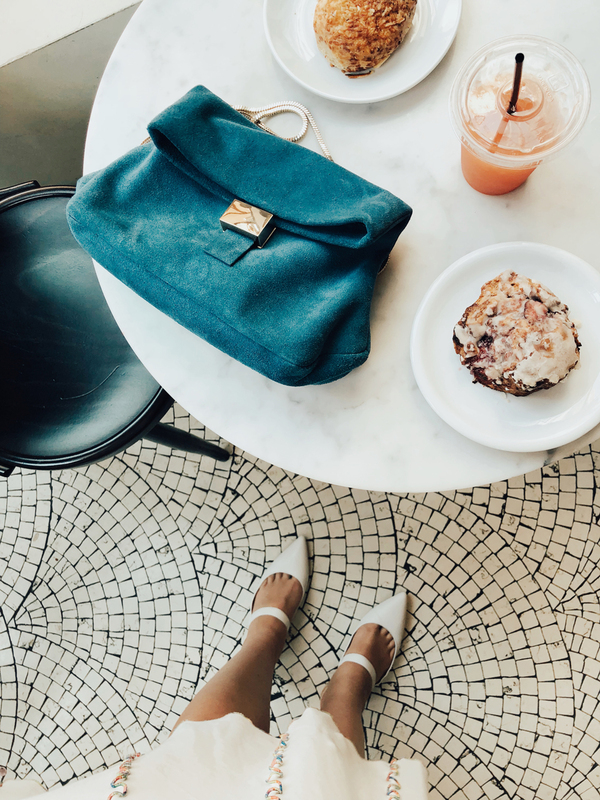 From this slip dress I wore constantly to this pretty suede bag, I can't seem to get enough. And according to the interest in my latest Instagram post, it seems you guys are loving it too! So I thought I'd put together a little trends post with 5 summer trends I've been loving from them this season! Wrap dresses and tops are not necessarily a 'new' trend, but we're seeing them everywhere this year. Shop my favorite ones below. For the first time in years, I'm finding myself being drawn to stronger color palettes...not just blacks and blues (although I do still loveeee those colors) but reds and pinks too! As I watch this trend blossom, I start to realize maybe I was born in the wrong decade. I LOVE 70s style, and can't wait until I can fit into one of the pretty blouses below! What once used to be considered a vintage vibe, is now one of this year's most loved trends. I'm thinking I'm going to need a swimsuit for after baby girl is born. Another favorite trend I can't get over are florals. The 80s have made a resurgence too, and we're seeing Hawaiian shirts and sarongs making a big comeback!